The Los Angeles Auto Show has become a significant event for auto makers and equals in importance with the Detroit show in January. For Lotus the show has become a fixture along side Paris and Frankfurt for the company to launch new cars and make major announcements. 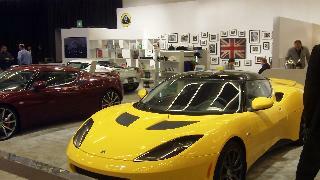 In 2010 Lotus used Paris and Los Angeles to introduce the new up market strategy along with 5 new cars. So, it was that the GGLC headed to the Press Days at the 2011 Los Angeles Auto Show. 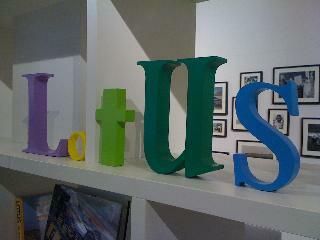 The Lotus booth was modest in comparison to their 2010 presence. Most apparent was the focus on the present versus the future focused 2010 booth. The 4 cars in the booth represented cars currently being sold, the Evora, Evora S and Evora (S) with IPS (Lotus nominclature for automatic transmission). Antonio has bold plans for the Lotus merchandise. He was at LA to speak with some of the 40 US Lotus dealers about the distribution and sales of the Lotus merchandise in the US. 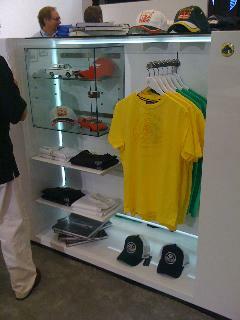 The US it turns out is a large market for Lotus gear with over 25% of worldwide sales! 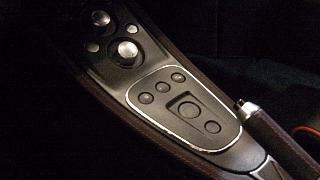 The US plans are to immediately have US dealers sell Lotus Originals. There are plans for opening Lotus boutiques in key markets like China and Abu Dhabi. Lotus held a press conference on Thursday morning (Nov 17th). 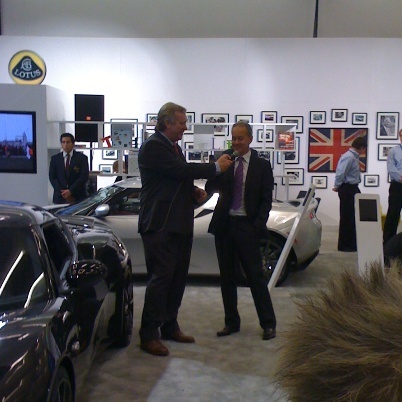 Kevin Smith, PR Director for Lotus Cars USA opened the conference. The big news was with Lotus Motorsport and the announcement that 3 Indy Car teams had signed with Lotus Motorsport and the Lotus V6 engine was on the dyno at Judd (see separate blog posting). Lotus utilized the Los Angeles Auto Show today as a platform to announce three partner teams that will race the new Lotus IndyCar V-6 engine in the 2012 IZOD IndyCar Series. Alongside this Lotus showcased developmental updates on future products and introduced the new Evora with Intelligent Precision Shift (IPS) transmission to the Western US. Just as developmental work is progressing at full speed on the first of Lotus’ future cars, the all-new Lotus Esprit and its clean-sheet high performance V-8 engine, Lotus Motorsport is rapidly readying its new twin turbo V-6 IndyCar engine for the rigors of racing. 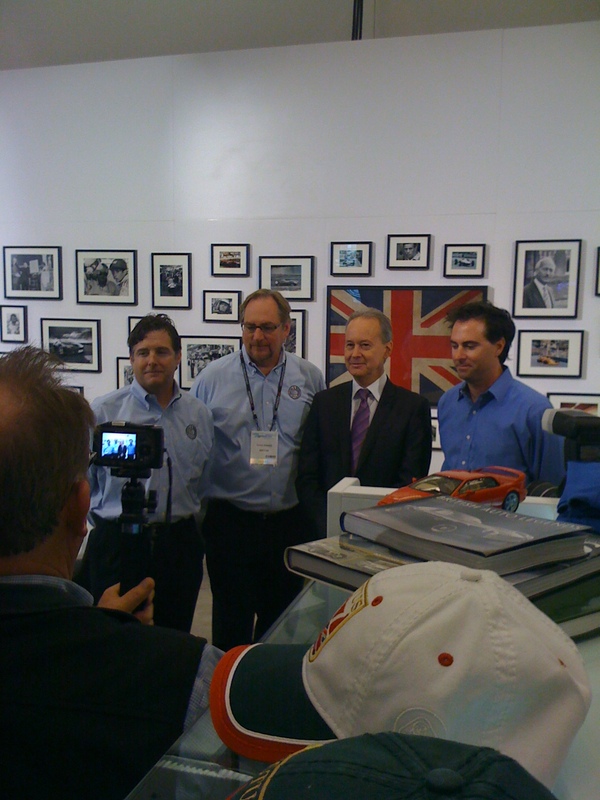 From L to R – Robbie Buhl & Dennis Reinbold from Dreyer & Reinbold Racing; Keith Wiggins CEO of HVM Racing; Bryan Herta from Bryan Herta Autosport. Each of these racing organizations, as Lotus partner teams, will benefit from the extensive testing and development work of the others to more quickly achieve the mutually desired competitive results. In addition to the new Lotus V6 twin turbo IndyCar engine, work is continuing on the new Lotus Motorsport facility in Indianapolis, which will give the company its base close to the action and its partner teams. 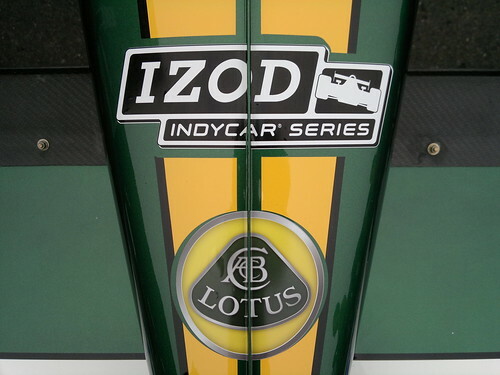 As the 2012 IZOD IndyCar Series season draws nearer, further announcements will be made by the teams at their individual launch events in due course.